KAT KINSMAN share in My Recipes on December 18, 2017 that if you still consider the rinds on your lemons, oranges, limes, and grapefruits garbage, it’s high time you step into the light. Have you ever gotten a present, squealed with delight at its contents, then tossed the box and packing materials out only to realize later that you inadvertently chucked out something else that was in there—cash, a gift card, or something else of value? If you’re tossing out your citrus peels all willy nilly, that’s exactly what you’re doing. The jewel-like segments and tangy juice may get all the fanfare, but there’s plenty of appeal in the, y’know, peel. Lemons, grapefruits, limes, pomelos, tangerines, and an exceptional array of oranges are at their peak this time of year, and you might as well put the whole fruit to work. In addition to the obvious pleasures of citrus fruit in seasonal baked goods, salads, savory dishes, cocktails, and mocktails, those rinds are permeated with fragrant oil that can be showcased in plenty of unexpected ways. If you possibly can, opt for organic and unsprayed fruit, or give it a thorough scrub to get rid of any possible pesticides and other contaminants. For each of these uses, assume unless otherwise specified, that you should be removing the outermost layer of the rind in broad strips with a vegetable peeler or a very sharp knife, picking up as little of the spongy white pith as you can. This is most easily accomplished while the fruit is still whole, but if life hands you a hull, you’ll cope. Just drape it over a sturdy, upended glass and do your best. Oil, vinegar, spirits, simple syrup, and even water are made better and brighter by the addition of citrus peels. For oil, vinegar, and spirits, simply slip your desired quantity of peel into a tightly lidded vessel or bottle and let the flavors come together in a cool, dark place for a week or two before sampling. 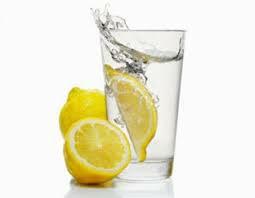 For water, just add strips of peel to a pitcher of water and let it chill in the fridge overnight. Don’t worry if some pith is clinging to the peels here; just remove any hard ends and slice the peel into thick strips or segments. Cover them with cold water in a saucepan, and bring them to a boil. Drain the water, and do it again, toss the peels into cold water, then scrape off any excess pith. In that same pan, combine equal parts sugar and water, add the peels and bring the mixture to a simmer. Once the syrup has thickened and the peels are slightly translucent, pour the liquid into a lidded container to store in the fridge and spoon into drinks. Take the peels, place them on a cooling rack over a baking sheet to let the excess syrup drip off and dry, then dredge them in sugar (and a little citric acid if you want to hit a slightly sour note). The candied citrus peels keep in a sealed container in the fridge for several months, and are marvelous as a standalone snack, or folded into scones, muffins, cookies, and other treats. If you peek at retro drink recipes, you may notice that plenty of punches call for oleo-saccharum. Don’t go looking for it on the shelves of your liquor store; just put the peels of six to eight pieces of citrus (lemons and oranges are traditional, but feel free to play around with grapefruit, too, and skip the lime) into a bowl, cover them with half a cup of sugar and let it sit covered for a few hours or up to a day to let the sugar draw the oils from the peels. Strain the liquid into a lidded container, pressing on the peels to extract every last bit of flavor. It will store well in the refrigerator, but once you start deploying it in punches, cocktails, lemonade, and homemade sodas, you’ll find you rarely need to. Both zest and peels dry beautifully in the oven, making your home smell like heaven in the process. If you have a dehydrator, you’re a lucky duck and should just use that, but the rest of us can preheat to the lowest possible heat setting (even a “keep warm” mode will do) sprinkle the zest and peels on baking sheets, and set a timer for 20 minutes. If the peel isn’t dry, check back in five-minute increments until it is. Chop the dried peel finely and combine it with salt, sugar, or your favorite black tea to bring a little extra zip to whatever you’re cooking or sipping.